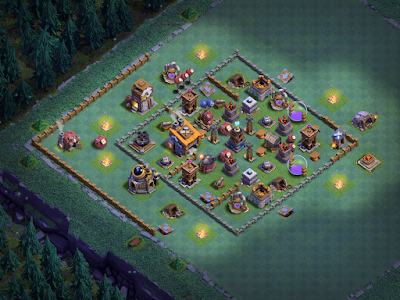 The Clashifer Hyper-Rush Project continues to progress very nicely.This game was first launched in mid-March with the intention of getting the Builder Base to BH8 as quickly as possible.Upgrades were focused strictly on what was needed to go to the next level of BH and one key troop (at first, Raged Barbarians and Sneaky Archers, then Beta Minions).By week 3, I’d pulled the trigger on the BH6 upgrade; at the 30 day mark, I launched the BH7 upgrade.On May 1st, just 45 days into the game’s progression, the BH8 upgrade was completed. I just recently came into a second clan and we've decided to pair it up as the sister clan to Divergent Void, move a bunch of our alts over, and build both clans up! The TH9+ clan is, "Divergent Void" at #P8CGRG0C. The general clan is, "Army of One...." (with 4 dots) at #Y8Q29JY. "Divergent Void" will be warring regularly, while "Army of One...." will be more focused on Builder Base and just general development. Our goal is to build both clans up as much as possible so we can hit top rewards tiers on Clan Games. "Divergent Void" is about to become a level 7 clan, "Army of One...." is almost level 5. 2) Execute all war attacks or opt out BEFORE war. 3) Achieve a minimum of 1000 points in every Clan Games (more if possible, especially when it's 50K or 75K). 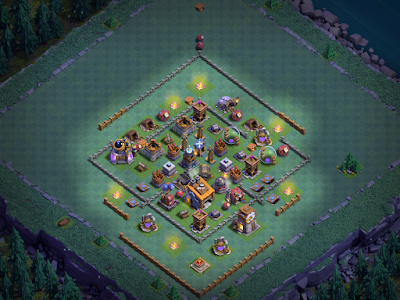 4) Donate what's asked for, and always donate max level troops for wars. So...I'm a little late getting this one up.We went down to the Great Smoky National Park last week - our absolute favorite place to go.Nothing beats the mountains; some day, I hope to move to Tennessee for good. BUT - that is not what we are here to discuss!It's the 2.5 month update on the Clashifer Hyper-Rush project.As expected, the base hit L4 defenses at the end of May.I've also taken advantage of the Battlefest and Hammer Jam events to sneak in a few level 5 upgrades as well. As in the past, all of the trophy counts each day are included in the daily log on the blog.I brought everything up to level 4 fairly quickly and pushed my Roaster, Giant Cannon, and MultiMortar to level 5 as well.Getting this extra bump to the key defenses has gone a long way in winning matches. 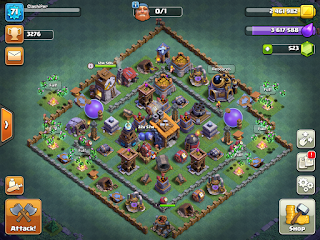 Choosing upgrades is a tricky thing to do in a new game like the Builder Base.Although it was released a year ago, the fact of the matter is that it is STILL in its initial release mode!BH8 just hit not long ago and a lot of players are running on the cutting edge of the game.In a more established game - like the Home Village - there are a bunch of levels to go through already and a large player base that is just slogging their way through each.